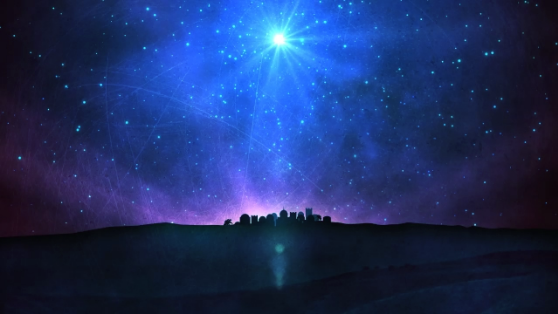 Summary: Reexamining the story of the birth of Jesus through the lens of Scripture. PREMISE: The Nativity story as told in the Bible is different from the traditional understanding of the story. PURPOSE OF ARTICLE: To use the Gospel account of the Nativity to separate truth from tradition. Today, millions of Christians around the world are celebrating Christ’s birth. Plays have been staged, sermons have been preached, and many are gathering to share in the joy and fellowship of the season. But how many Christians will let the day slip by without understanding how tradition has altered parts of the beautiful Nativity story? Might it not be worthwhile to examine what the Bible says about the special day that Jesus was born? Please note that this article will not ruin your Christmas. On the contrary, it will probably help you look at the miracle of Christmas from a completely new perspective. Let’s start with Mary and Joseph. Most paintings and films depict the couple traveling to Bethlehem with Joseph on foot and Mary on a donkey. While this is a possibility, and perhaps even a likelihood, none of the four Gospels mention the mode of transportation used by the young couple. What we do know from ancient history is that wealthy families traveled using horses or chariots, and poorer families traveled by donkey or on foot. Mary and Joseph were likely poor (Luke 2:24 describes their Temple offering of turtledoves, prescribed in Mosaic Law as acceptable offerings from the poor). And given that Joseph and his pregnant wife would have traveled 70-90 miles from Nazareth to Bethlehem, it makes sense that Mary may have ridden a donkey. However, this is still an educated guess. What about the timing and nature of Jesus’ birth? We often think of the Nativity story in frantic terms: Mary and Joseph arrive in Bethlehem on the night that Mary must give birth, and when they are refused by innkeeper after innkeeper, they hurriedly resort to settling in a barnyard-type location where Jesus is born amongst hay and farm animals. But nowhere in the Bible does it say that Mary and Joseph arrived on the night that she gave birth to the Savior. In fact, if you think about it, does it make sense that a decent man would take a wife who was nine months pregnant on a bumpy three-day journey and risk having her give birth en route? All Luke says is, “And while they were there, the time came for her to give birth” (Luke 2:6). If anything, this denotes that her time came while they were staying in Bethlehem, not at the very moment they arrived. Furthermore, there is no mention of an innkeeper. As far as where Jesus was born, there is also some misunderstanding about this. As noted above, most Christians think of a stable filled with animals, but the Bible doesn’t mention a stable or animals. Luke says, “And she gave birth to her firstborn son and wrapped him in swaddling cloths and laid him in a manger, because there was no place for them in the inn” (Luke 2:7). The word “inn” here is καταλύματι (kataluma being the root word transliterated), and it is used in Luke 22:11 and Mark 14:14 to describe a guest room. So it is more than possible that Jesus was born in a house in Bethlehem and placed in a domestic manger used for indoor animal feeding. The house that he was born in could very well have been the same house that he was staying in during the visit of the Magi (Matthew 2:11). This is not conspiracy theory or heresy. Look at your Bible, specifically Luke 2, and see how this entire narrative makes perfect sense. Many theologians now agree that the house scenario makes more sense in the content of the story. Jesus was probably not born on December 25. Australian astronomer Dave Reneke suggests a summer birthday, given that the Star of Bethlehem (Matthew 2:2) may have been a conjunction of the planets Venus and Jupiter, and calculations have dated this phenomenon to June 17 of 2 B.C.2 Some Bible historians think that Jesus may have been born in spring or fall, since the shepherds were watching their sheep outside at night, and such an activity would have been hard to do in winter. So why December 25? This date was used by early Christians even at the time of Constantine, and it may have been chosen because it coincided with pagan feasting and celebrating. The Roman Festival of Saturnalia (between December 17th and 23rd) honored the Roman god Saturn, and the Romans celebrated the birthday of the Sun god Mithra on December 25. It was Pope Julius I who officially set December 25 as the day for celebrating Jesus’ birth. Christians also have many misconceptions about the Magi (traditionally called “wise men”) who visited Jesus. First, we don’t know how many of them were there. The number three is traditionally used because three gifts are mentioned: gold, frankincense, and myrrh (Matthew 2:11). So as much as I love the carol “We Three Kings”, there may not have been three, and they may not have been kings. The Bible also makes no mention of when these men visited. Nativity sets that depict them standing next to the manger are merely speculative. The camels that you see in Christmas cards are also speculative since the mode of transportation employed by the Magi is not mentioned in the Bible. Is this article meant to put a damper on your Christmas celebration today? Should you start throwing out your Nativity sets and ornaments? Not at all. I, for one, will continue celebrating the Advent of my Savior on December 25. Nothing will stop me from enjoying the fellowship shared with other Christians on this day. The miracle of Christmas is still a miracle, not because of anything we have added to the story, but because the Son of God was born humbly of a virgin, grew up as a sinless man, and loved us so much that he died on the cross to pay the penalty for sin on our behalf. In conclusion, it is wonderful that we all take a day out of the year to celebrate the birth of Jesus. However, be sure to understand where tradition starts and ends, for by doing so, you will have a better understanding of the truth of the Bible. Bierma, Lyle D. “What Really Happened in Bethlehem?” The Banner. “‘Jesus Was Born in June’, Astronomers Claim.” The Telegraph. Telegraph Media Group, 9 Dec. 2008. Web. 25 Dec. 2016. MacArthur, John F. “Who Were the Wise Men?” Grace to You. Grace to You, n.d. Web. 25 Dec. 2016. Hi, Mr. Gortmaker! Good to hear from you, and you’re right on both counts! In future articles, we may discuss the impact that Israelites like Daniel had on Babylonian wisdom and methods. It’s also believed that the magi, or wise men, existed back in Daniel’s time, as well. As for the date of Jesus’ birth, you correctly employed the same hermeneutics that led to our conclusion that Mary and Joseph may have been in Bethlehem well before Jesus was born. And we agree that an Advent date near the end of September would be highly significant.